I found this recipe on the BBC food website. 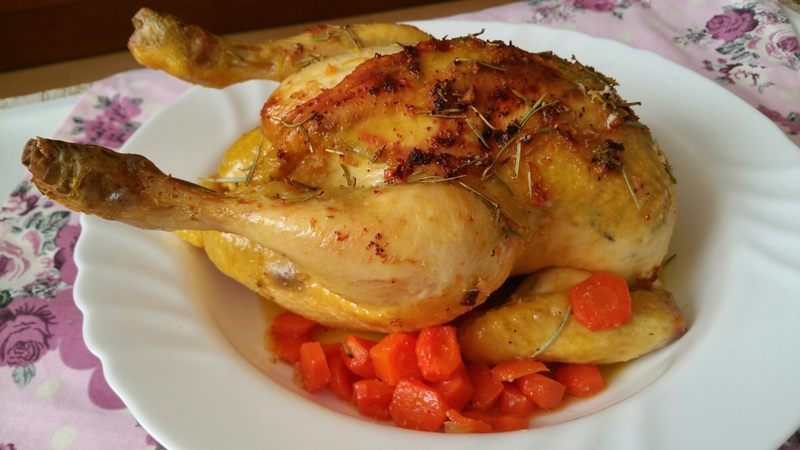 The result is a fantastic moist chicken with an unforgettable flavour! Heat oven to 190C/170C fan/gas 5. Very finely chop 2 sprigs of the rosemary and mix with 2 tbsp of the butter and the garlic, lemon zest and chilli. Gently lift the skin away from the breast of the chicken and press the butter underneath on both sides. Rub the remaining butter on the outside of the chicken. 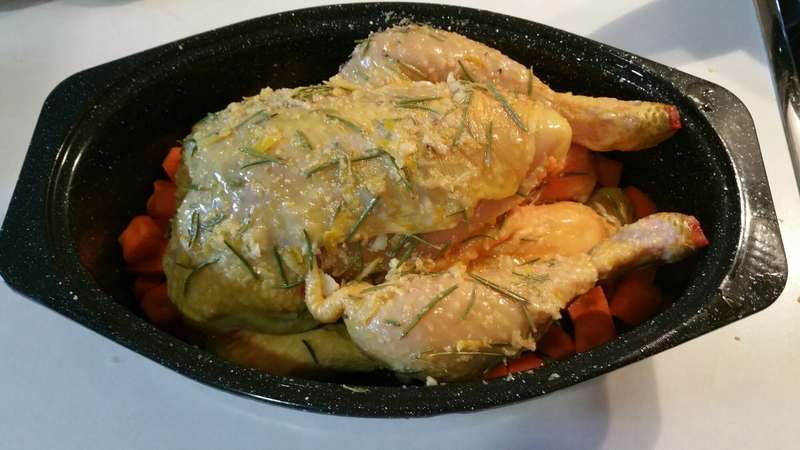 Stuff the lemon inside the cavity.Place the chicken on a wire rack along with the carrots in a medium roasting tin. Season, then scatter with the remaining rosemary leaves. Roast the chicken for 1 hr 10 mins or until the juices run clear, then remove from the oven and let it rest for 10 mins before carving. Serve it on a board with the carrots and a bowl of the roasting juices.